Luke is a writer and has a sense of humor I can’t compete with (but I try); Zach is a building designer and has a huge heart and he’s a whiz at math, which I’m super jealous of. They’re the friendliest, easiest-to-get-along-with guys around. Zach always loved raspberry chocolate cheesecake, so I made it quite a bit growing up. He texted me this recipe awhile back and I knew I had some frozen bananas so I was dying to try it out! I finally got a chance today and it is delicious! So moist, packed with raspberries and studded with chocolate, yet it holds its shape and makes a perfectly portable treat, which I love. It takes awhile to bake but it’s a cinch to whip up. Try it out and let me know what you think! Preheat oven to 350°F. Spray 9×5-inch glass loaf pan with cooking spray (you’ll have to let the bread cook longer in a dark metal pan). In large bowl, beat sugar and butter with electric mixer at medium speed until blended. Add eggs one at a time, beating well after each. Add mashed banana, yogurt, and vanilla; beat well. Stir in the flour and baking soda and mix just until moist, being careful to not over-mix. Stir in chocolate chips and fold raspberries in gently. Spoon batter into pan. Bake for 60 to 75 minutes or until toothpick inserted comes out clean. Cool 15 minutes on a wire rack. Remove from pan and cool completely on the wire rack. *If the top is browning too quickly, cover the top with foil in the middle of baking to prevent it from browning further (I had to do this after 60 minutes and baked it for an additional 15 minutes). *Cut slices when cool and store in fridge, using wax paper in between slices to separate pieces and eat them easily. NOTE: I have also made this recipe in two 8 in. x 3 7/8 in. x 2 12/32 in. foil pans and cooked for 50 minutes. This makes it easier to share or store one in the freezer! This looks delicious! Love chocolate and raspberries together! 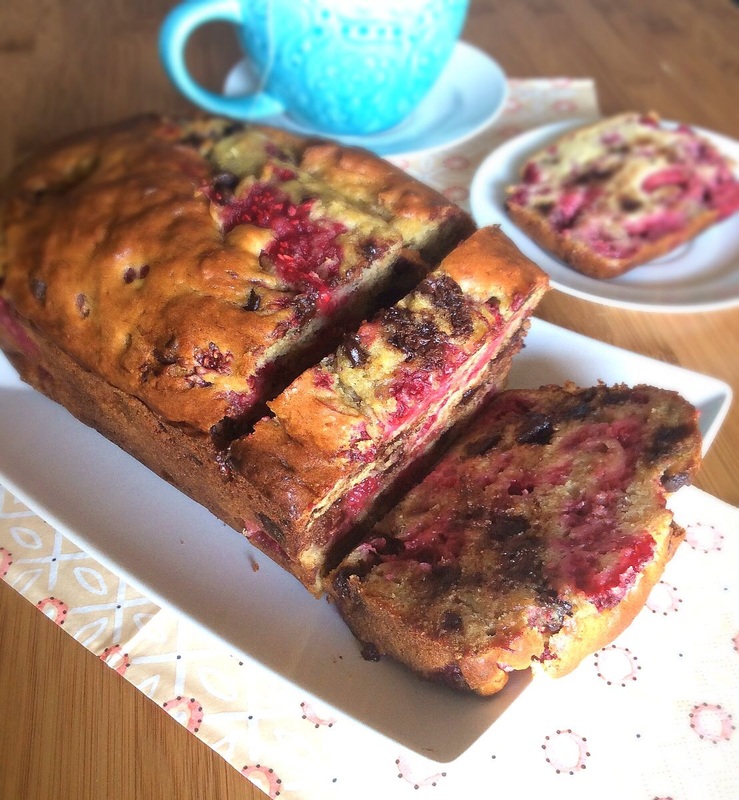 I made quick bread this weekend too! Nice! I know you don’t like bananas, but this one hides the banana flavor very well! 🙂 What’d you make? Haha! I’m totally fine with them baked, just not raw! 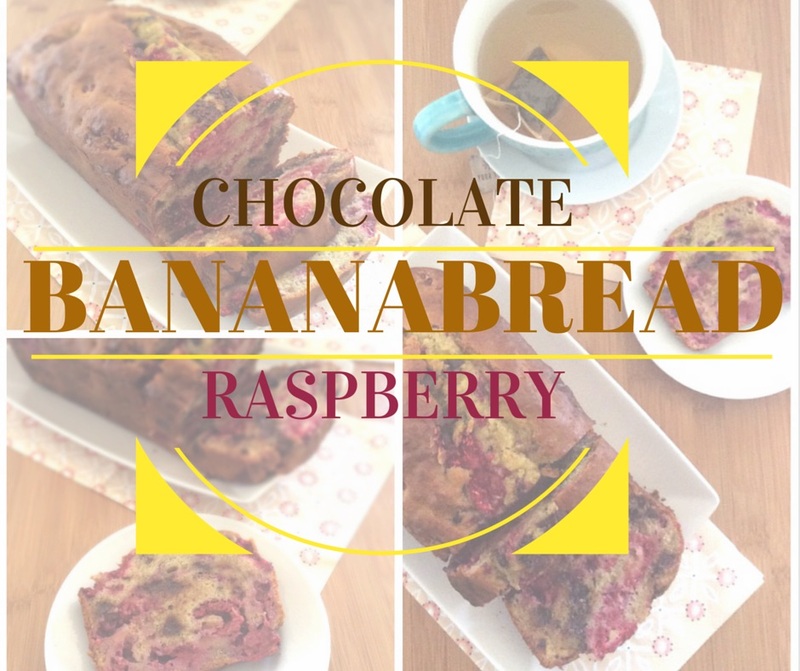 Banana sounds great with chocolate and raspberry. I made a pistachio carrot bread. Hoping to post it tomorrow! Yum, I like the sound of this! 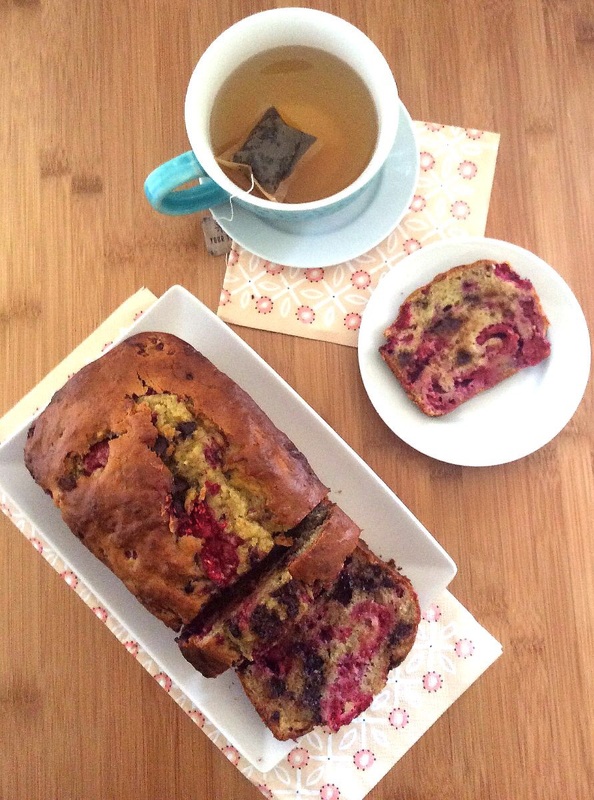 I’ve never thought of adding raspberry to banana bread but I have a feeling it is absolutely delicious!